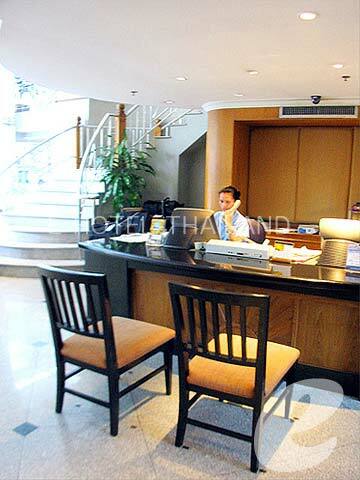 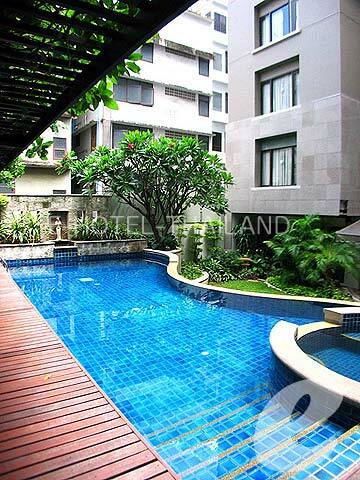 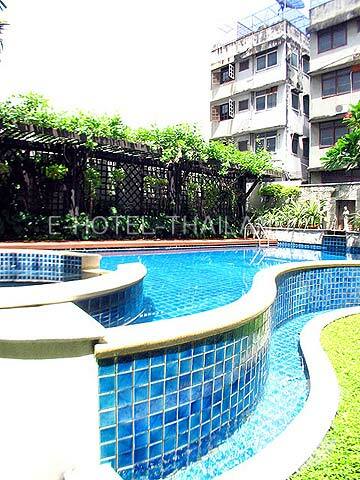 A luxury serviced apartment located in the center of Silom Road. 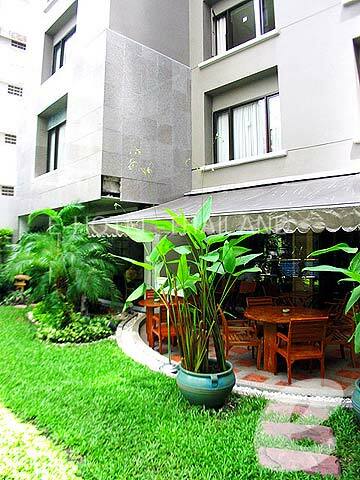 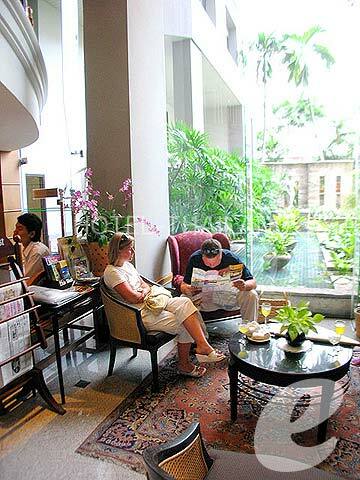 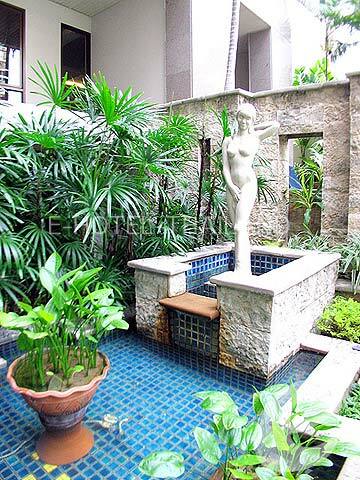 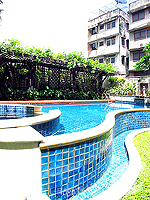 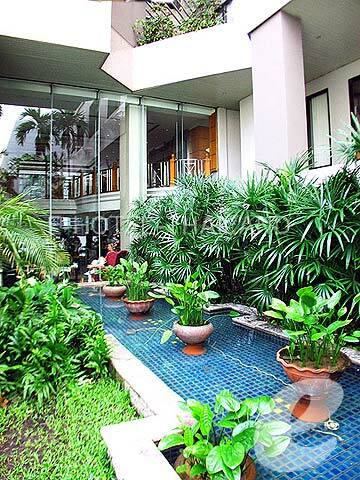 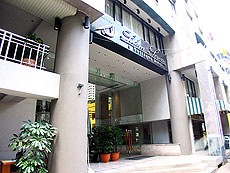 Siom Serene is a luxury serviced apartment located on Soi 13 (Soi Pipat), in the center of Silom Road. 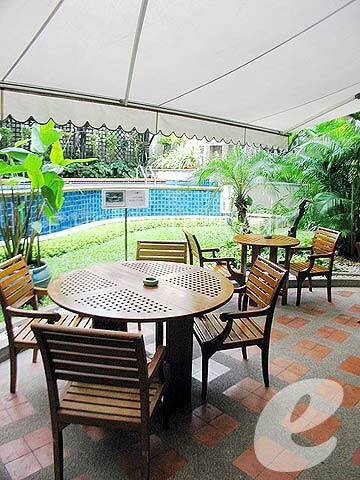 It’s only a 3-minute walk from BTS Saladaeng Station. 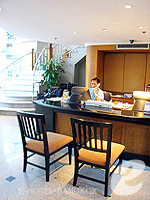 There are 86 rooms in total, and the room size varies from 30 to 60 sq. m. The building surrounds the pool and garden, and there is a café terrace in the garden. 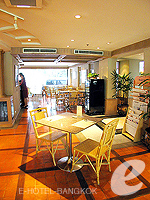 Their restaurant “Ormthong Restaurant” is also popular. 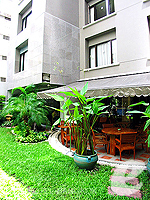 * A child/children 11 years or under sharing a room with adults without putting extra bed will be charged only breakfast fee of THB 190++ /child.